There are several options for cooking outdoors, including simply getting some logs and making a campfire. However, if you prefer something a bit easier to control, then a propane gas stove is the answer. Our review will look at 5 of the best propane gas stoves available, to help you choose the right one. 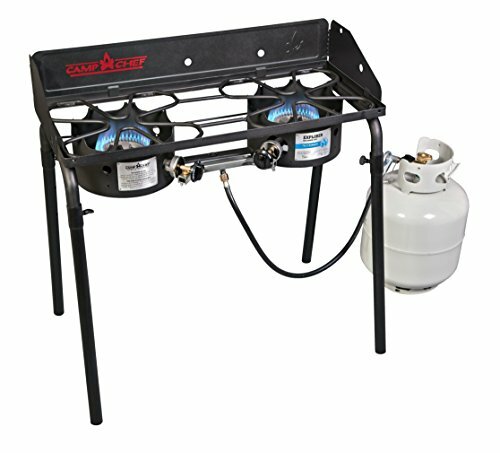 This propane gas stove is one of the larger types which are ideal for camping trips where you need to prepare larger meals or cook for more than one person. This Camp Chef propane gas stove has been popular for some time, and once you start to use it you’ll soon understand why. The first point to make is the amount of cooking area that it gives you. it amounts to 448 square inches, or to put it another way it is 16 inches wide and 9 inches deep. It has two burners and you can use these to heat up pots filled with delicious soups, healthy vegetables or nourishing stews. To do so it is a simple matter of lighting either or both 30,000 BTU burners. These are connected to a single tank of propane via a gas flow regulator. Each burner can be individually controlled to provide as much, or as little heat, for whatever you are cooking. We mentioned heating pots, however, that is not the only type of cooking you can do with this stove. By using other cooking accessories, you can turn your propane gas stove into a barbecue for steaks and burgers, a griddle for frying eggs or bacon, a roaster for chicken, and even use it with a Dutch oven to create all kinds of amazing meals such as stews, curries and casseroles. This is a small single burner propane gas stove which is very compact and lightweight, so it is easy to carry and therefore ideal for camping and backpacking. 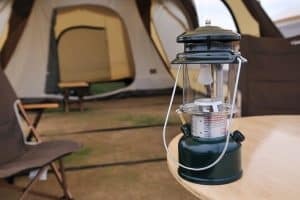 This is as about as simple as it gets when it comes to propane gas stoves, but that doesn’t mean it does not have a lot to offer campers and backpackers who want to cook themselves a meal during their trip. The most obvious is the stove’s size and weight which make it perfect for carrying in a rucksack. It weighs only a few ounces, so it won’t slow you down, and it can be easily tucked into most backpacks as it’s only a couple of inches in length. To light the stove, you need a naked flame; once lit, you can adjust the heat intensity up or down using the controller on the side. To prevent the flame from being blown out, there are wind baffles on the pot holder. This pot holder can be used for pots and pans of up to 7.5 inches in diameter which gives you plenty of options in terms of what you can cook. Another important feature, especially when cooking outdoors, is the large base which the stove’s propane gas cylinder sits in. It has large paddle-like feet which give the stove stability. This is an important safety feature which could prevent serious burns from hot liquids spilling. 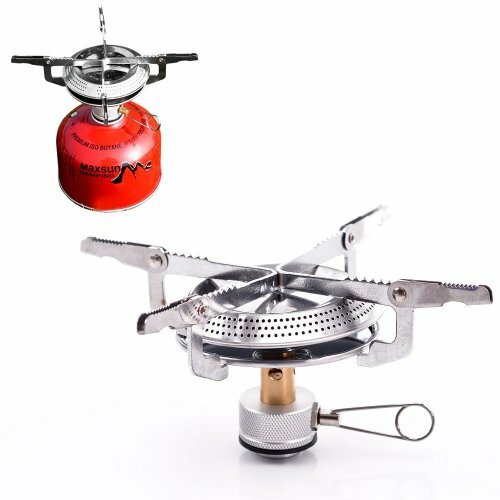 This is another very small and lightweight propane gas stove that is very basic, but nevertheless is perfect for camping, especially if you only need to cook small basic meals. The attraction of this propane gas stove isn’t lots of fancy features, because it doesn’t have any. 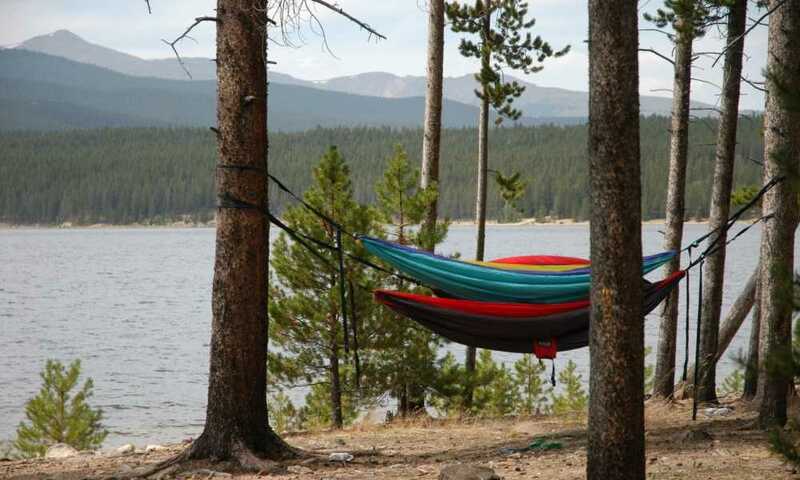 Instead, it offers campers, backpackers, and even day trippers a simple way to cook small, hot meals and dishes. It only uses screw top propane canisters, which can be purchased from major camping stores and large supermarket chains. Once you have securely screwed on the canister, simply turn the control knob, and light the stove with a naked flame. Once lit, you can use this stove to cook anything which can be heated in a pan or pot. One good feature is the ability to extend the stove top, so it can accommodate larger pans. This means you could use a frying pan on it to cook a decent array of different meals and recipes. Obviously one of its main attractions is how small and light it is. It weighs less than 4 ounces, so you will unlikely to even feel its weight in your backpack. 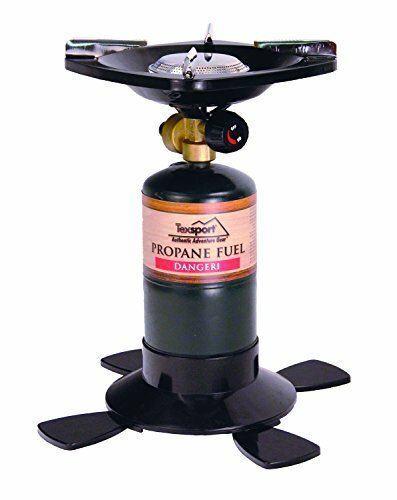 If you want to have a propane gas stove that allows you to have more scope and capacity when cooking on your camping trips, then the Gas One stove is one you will like. You will note that the product title includes the words ‘dual fuel’ and this means that it not only uses propane gas, but it can also be fueled using butane as well. The difference is that for propane the bottle size needs to be 16 oz. but for butane, it is an 8 oz. canister which is compatible. Note that each burner needs its own individual gas tank or canister. Regardless of which fuel you use, the stove operates in the same way. Here is where this stove proves to be more advanced than others – it has auto ignition. In other words, there’s no need for matches or lighters. You simply push and turn the control dial, and the flame is alight. Now you have your flame, you need to choose what to cook if you haven’t done so already. There are multiple uses for this grill, especially as it has two 8,000 BTU burners. You can be boiling vegetables in a pot on one burner while you cook a stew on the other one. To help your cooking exploits the grill comes with a non-stick grill plate so you could simply fry three or four different foods on that instead. The other extra is the sturdy carrying case which makes transporting it a lot easier and more convenient. 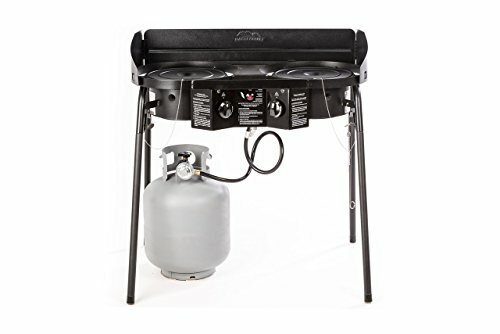 This rather unique looking propane grill has a very modern appearance which might not be what you’d associate with rustic pursuits like camping, however, it is perfect for cooking outdoors. Of all the propane gas stoves we have reviewed this one is certainly the most eye-catching. 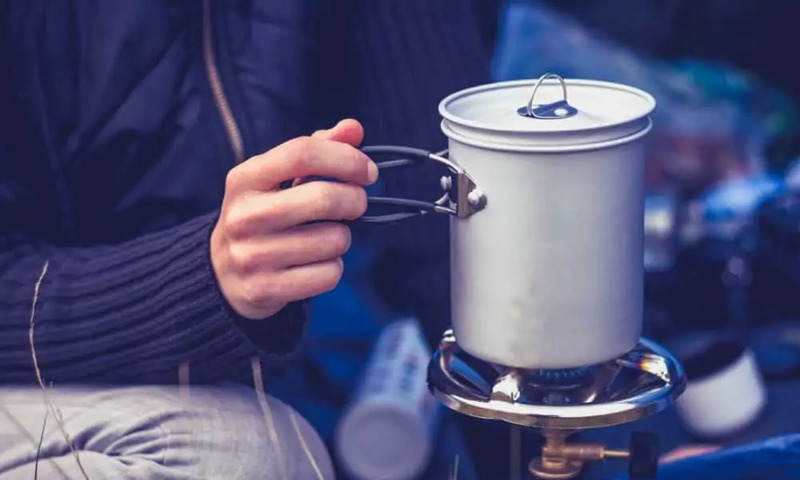 With its charcoal grey metal structure, at first glance, and from a certain angle, it appeared more like a piece of modern art than a camping stove. However, once you get up close, and use it, it quickly proves it is very much a camping stove, and good one at that. This stove has two burners which can both be fueled from the same propane gas bottle. Lighting each burner is done using the auto-ignition feature which is a simple matter of turning the appropriate controller and pressing the red ignition button. Once you have the burners lit, you can then control the heat of each one individually, which allows you to cook different foods at the same time. Should there be any wind, or worse, rain, the oven has both wind deflector shields, and rain guards to stop these interfering with your cooking. The oven can be used upright while sitting on its four metal legs, or it can be used on a flat surface, such as a table or worktop by removing the legs. The fact that the legs are removable also make it much easier to transport. Our 5 propane gas stoves all offer different features and advantages, so to pick the top one is a difficult choice. After some consideration, we decided that our best propane gas stove is the first one we reviewed – the Camp Chef Explorer 2 Burner Range. 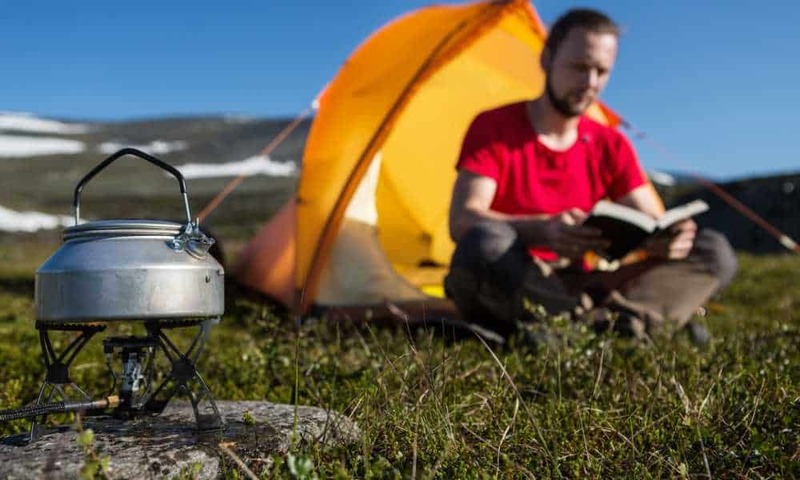 This is a tried-and-tested camping stove which is very easy to use, but at the same time offers the most flexibility in terms of what you can cook of all the stoves we tested. 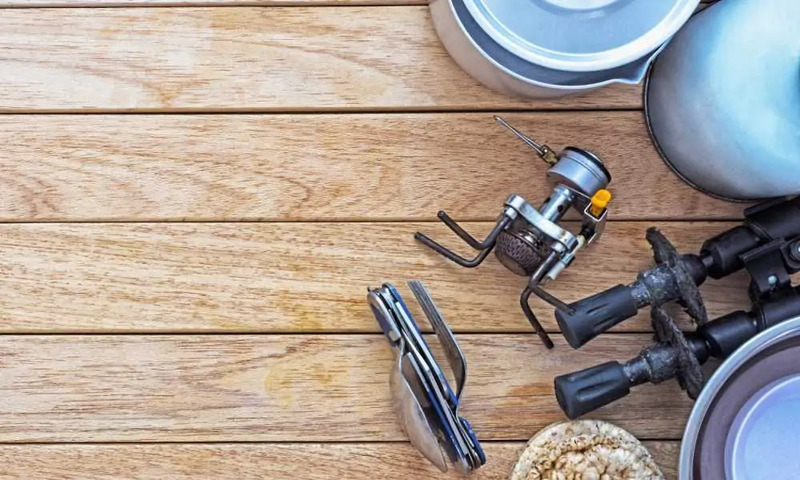 In addition, its size and weight mean it is small and light enough can be taken on camping trips, road trips, day trips and even used out in the garden to cook up a whole range of tasty meals.